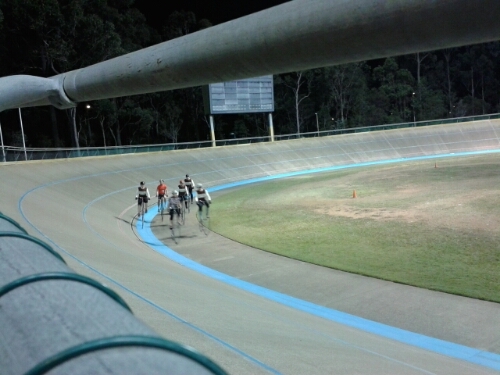 Following are a few photos from the Repsych Cycling Development Winter Track Racing Series Round 6 at Chandler Velodrome. 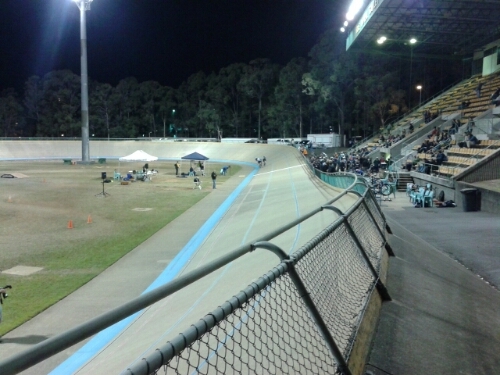 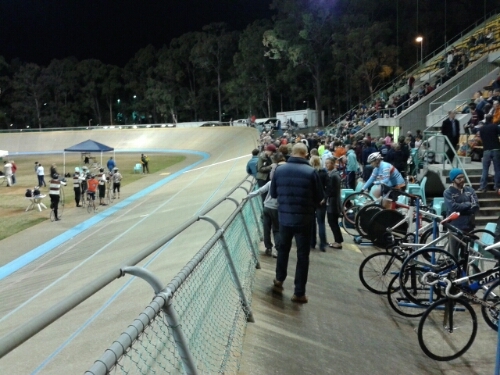 Anna Meares set a new State Record for the Elite Women’s Flying 200 metres at this event — 11.44 seconds. 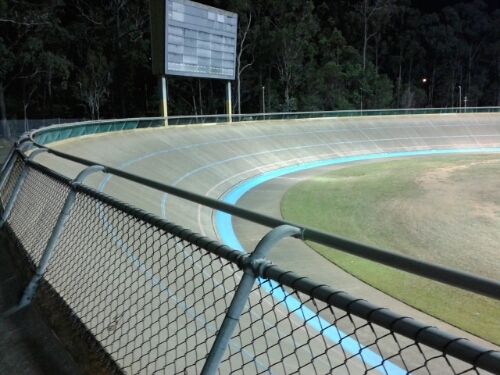 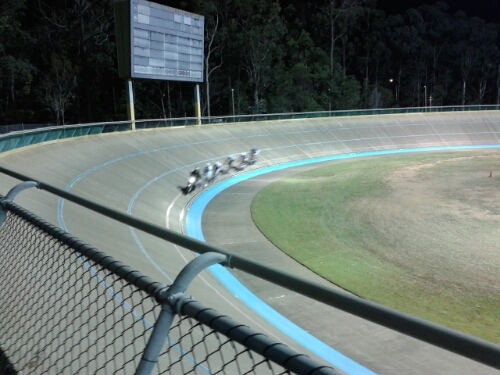 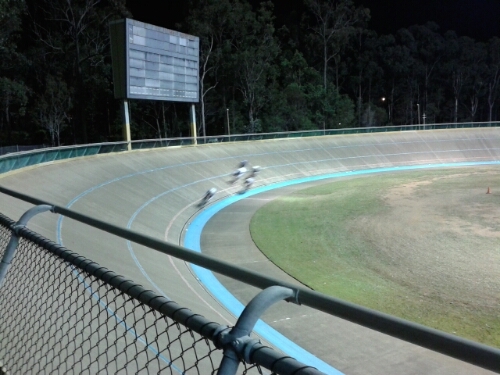 Chandler Velodrome banking is apparently 31 degrees — it doesn’t look steep … until you are riding around the top! 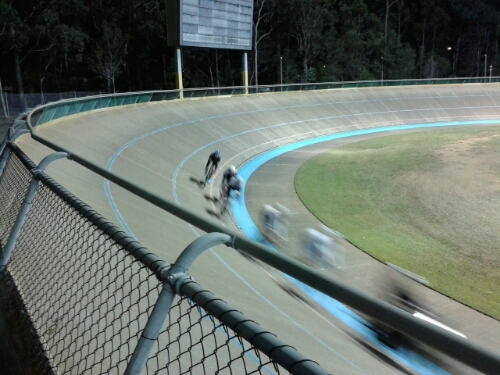 This entry was posted in Bicycles and tagged Chandler Velodrome, Repsych, Repsych Cycling Development, Velodrome, Winter Track Racing Series on 12 August 2014 by Rex.